Rome | Let's Go for a Trip! Rome (also known as The Eternal City), the capital of Italy has its history spanning more than two and a half thousand years. 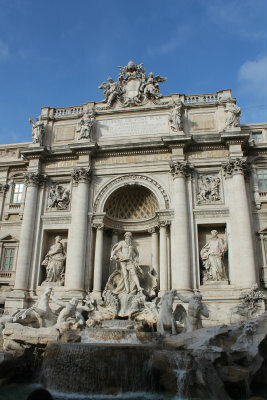 In 2011 Rome was the most popular tourist destination in Italy. Monuments and museums such as the Colosseum and the Vatican Museums are among the world’s most visited tourist destinations. Getting there : Take the metro to Colosseum station (2 stops from Termini). You can see the Colosseum upon exiting the station. If your time in Rome is limited, you can cover Colosseum, Roman Forum, Palatine Hill, Piazza Venezia, Pantheon, Trevi Fountain and the Piazza di Spagna (Spanish Steps) in the same day. 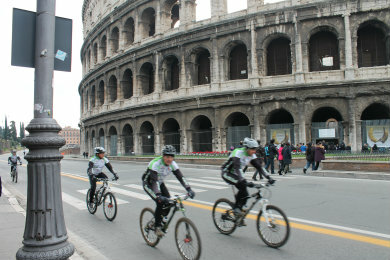 They are all within walking distance, start your journey from Colosseum early in the morning so as to avoid the crowd. 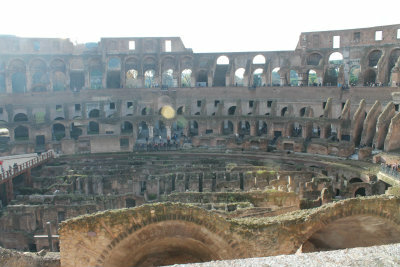 The entrance tickets to Colosseum include entrance to the Roman Forum and Palatine Hill and is valid for 2 days. The ticket kiosk at the Colosseum has the longest queues, therefore if you want to save time, it is best you purchase the ticket at the entrance to the Palantine Hill. Take note of the operating hours especially during winter time. There is a tradition of throwing a coin over your shoulder into the Trevi Fountain, it is supposed to bring good luck and ensure a return to the Eternal City. Coins are purportedly meant to be thrown using the right hand over the left shoulder. An estimated 3,000 Euros are thrown into the fountain each day.The money has been used to subsidize a supermarket for Rome’s needy. Located few blocks away from Termini Station, this beautiful basilica located in Italian territory is owned by the Holy See. 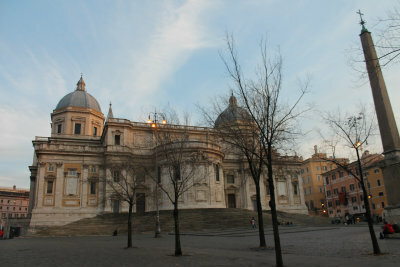 The building is patrolled internally by police agents of Vatican City State, not by the Italian police.